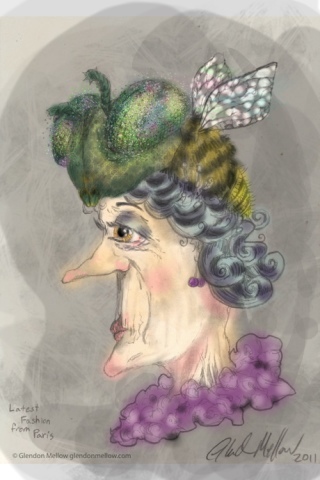 Coloured this pencil sketch using the Sketch Club app on my iPhone. The original is owned by Morgan Jackson of Biodiversity in Focus. We're having a light family day at home after staying up late with good friends to ring in the New Year. I'm going to try posting quick sketches more often. 2012 was my lightest year of blogging here on The Flying Trilobite, though not of blogging in general considering my posts on Symbiartic. Last year was fantastic and I did some of the most important illustration artwork I've ever had the opportunities for to date. 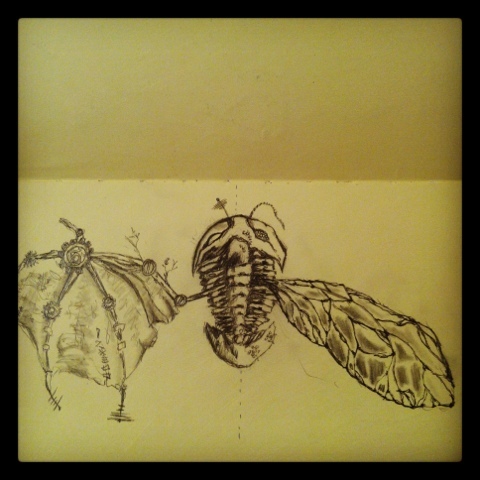 Written by Glendon Mellow On January 1, 2013 In "Insect", "Sketch Club", "iPhone", "pencil", "sketch"